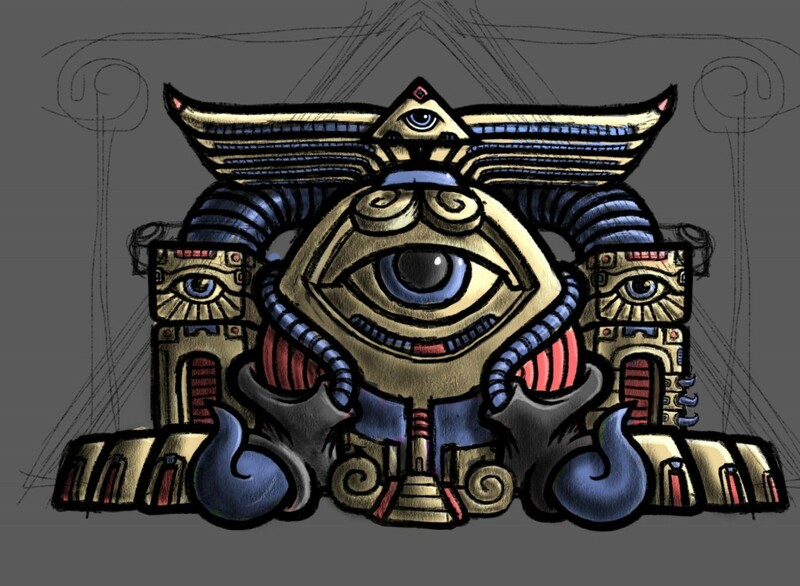 Color sketch of the Egg Temple. The gold was an unintended result of layer blending modes. I liked it and ran with it. See the grayscale version of the sketch. Created in Procreate on the iPad. This entry was posted in Art and tagged art, drawing, eye, sketch, temple. Bookmark the permalink.